Preheat oven to 180°C (350°F). Line the base of a 22cm cake tin with non-stick baking paper. Place the oranges in a saucepan of water, cover and simmer for 10 minutes or until soft. Remove from the water and chop roughly, removing any seeds. Process the orange, butter, sugar, eggs, ground almonds, flour and baking powder in a food processor until smooth. Spoon the mixture into the tin and bake for 1 hour or until cooked when tested with a skewer. To make the orange syrup, place the sugar, orange juice and water in a saucepan over medium heat and simmer for 5 minutes. 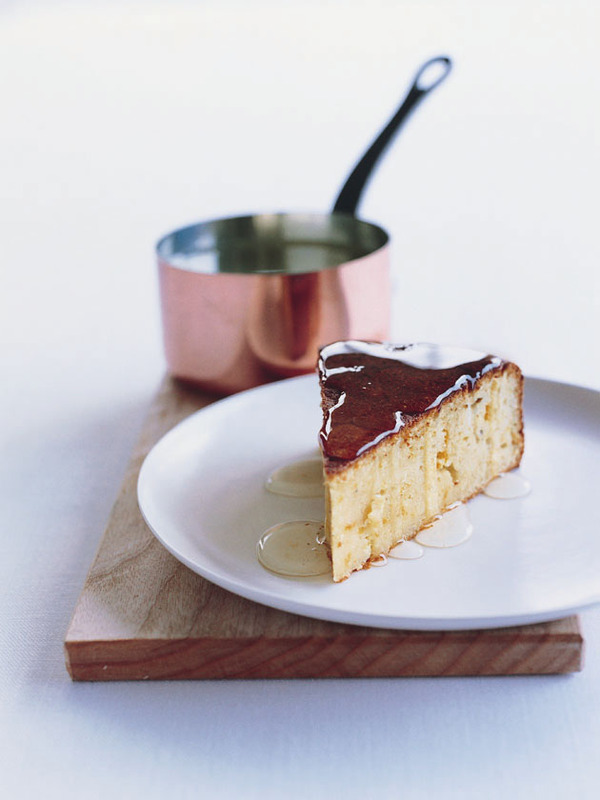 To serve, cut the warm cake into wedges and spoon over some of the syrup. Serve with thick cream. Serves 8–10. This cake is absolutely beautiful. I halved the sugar in the cake mixture. I also added few drops orange flower water in syrup mixture.